Really great stuff. 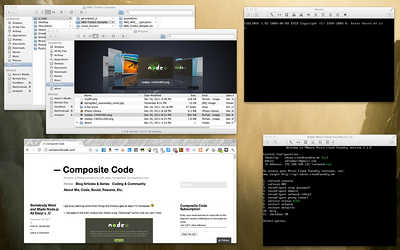 I recently picked up and i7 Macbook Air and you’ve got the first and probably best implementation of a multi-monitor solution. I’m pretty sure I’ll be picking up those supplies in a couple days. Thanks. It has absolutely worked out great too. I’ll admit I only use it every once in a while though. As I picked up a Cinema Display and having 2560×1440 actually ended up being nicer than the 2x 1920×1200 monitors. Another cool thing, if I can ever get around to blogging it, is using an iPad for a secondary monitor on the Air. It comes it super handy. Are you running Mountain Lion on your air? If so, is this adapter still working? thanks. I am running Mountian Lion now, but cannot verify if it works or not. 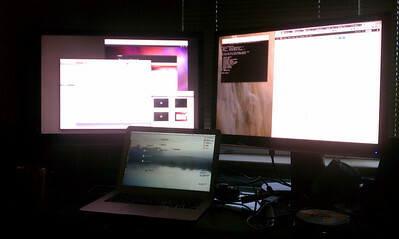 I’ve since moved on to an iMac + Cinema Display, using my Air only for mobile computing. 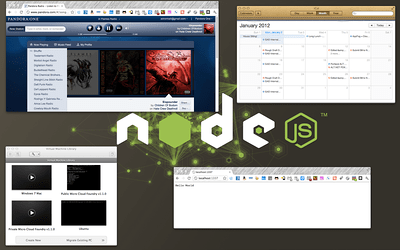 However, I imagine that with the latest drivers it would still work, the core elements haven’t changed that much. a second older monitor 2005 ultrasharp Dell, that has no thunder ball port? Sounds like you’ll need a device of some sort to get the 2nd one up and running. The new MBA however will run two monitors if they have thunderbolt I’ve heard. 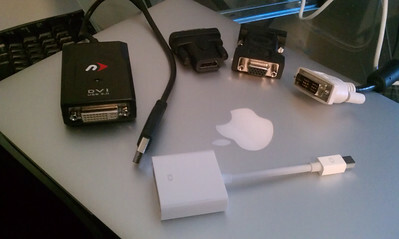 Great post, I just got myself an adapter and am running 3 screens with no sweat at all! One question though, it seems that the USB-based screen is noticeably laggy…is there anyway to speed that up? I am computer illiterate! I just left the Apple store. 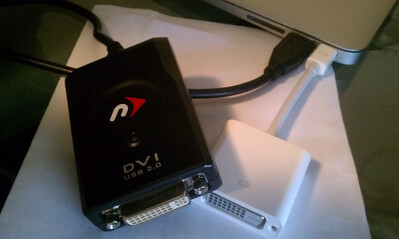 I took home a Mini DisplayPort to DVI Adapter. I have 2 Samsung Monitors. If I order the Newer Technology adapter you have, do I have everything I need? 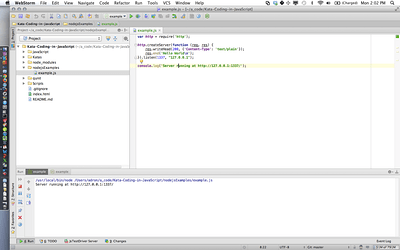 will this work with OSX mountain lion? my MBA was purchased in July 2012, and I upgraded to mountain lion when it came out. 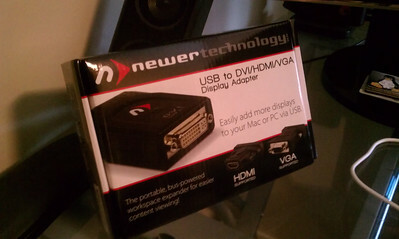 do you know if the newer tech usb dvi adapter would work with the upgraded software? Are you using Parallels to run your virtual machines? If so, are you having any issues with Coherence?